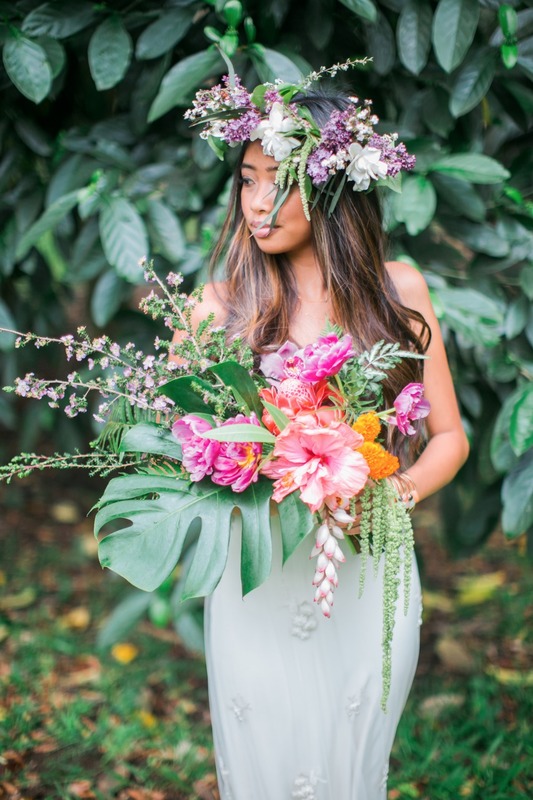 To kick off their launch in Hawaii, Bustle Events brought together a talented team of vendors for this magical boho shoot at the Ho'omaluhia Botanical Gardens on Oahu. 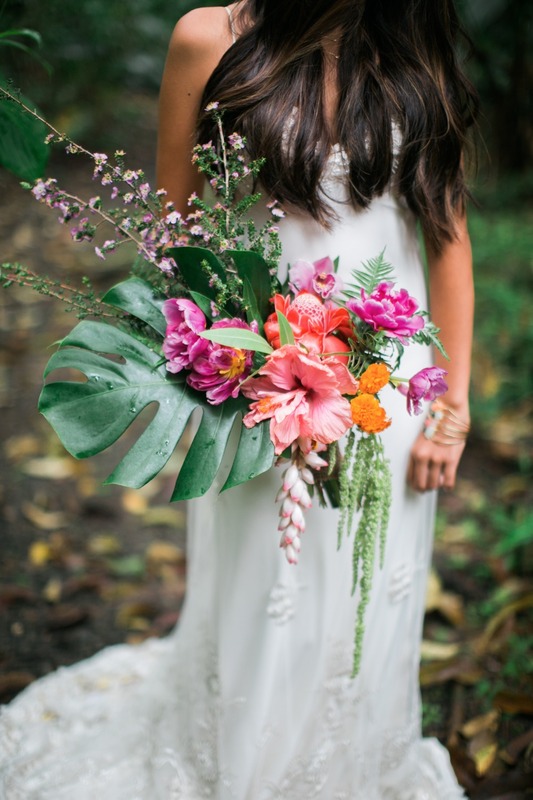 Bold and bright hues pop out against the lush jungle backdrop and with minimal decor they managed to pull off one dreamy inspiration for your tropical I dos. 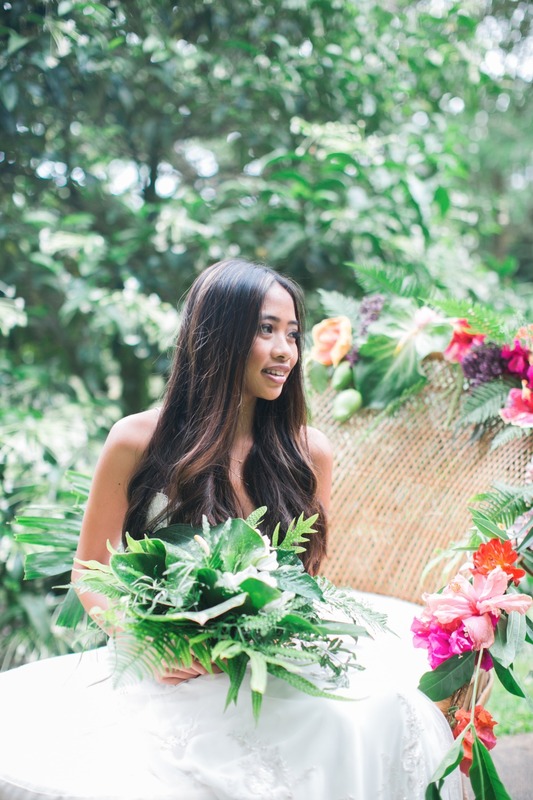 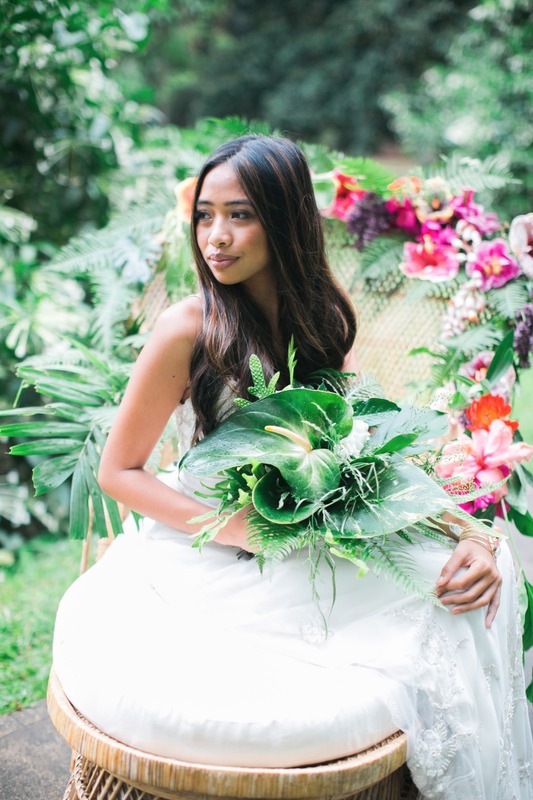 So feast your eyes on all the beauty of this Hawaiian garden shoot, captured by iFloyd Photography, and be sure to take a peek at the full gallery to pin all your favorites! 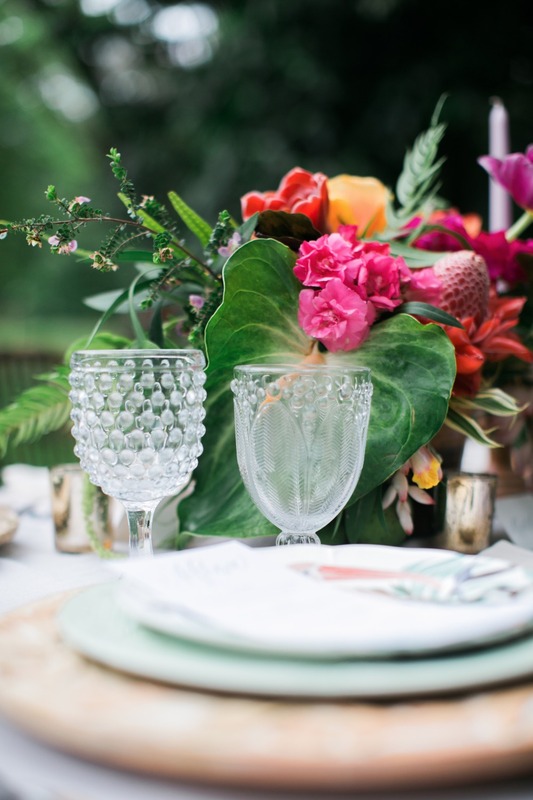 From Bustle Events: For the table, we went with a subdued pastel palette that really helped the bright florals and lush backdrop pop. 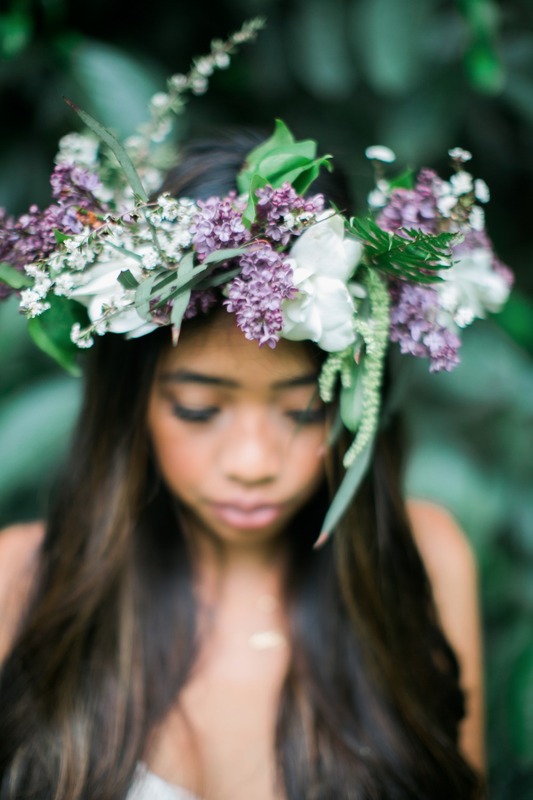 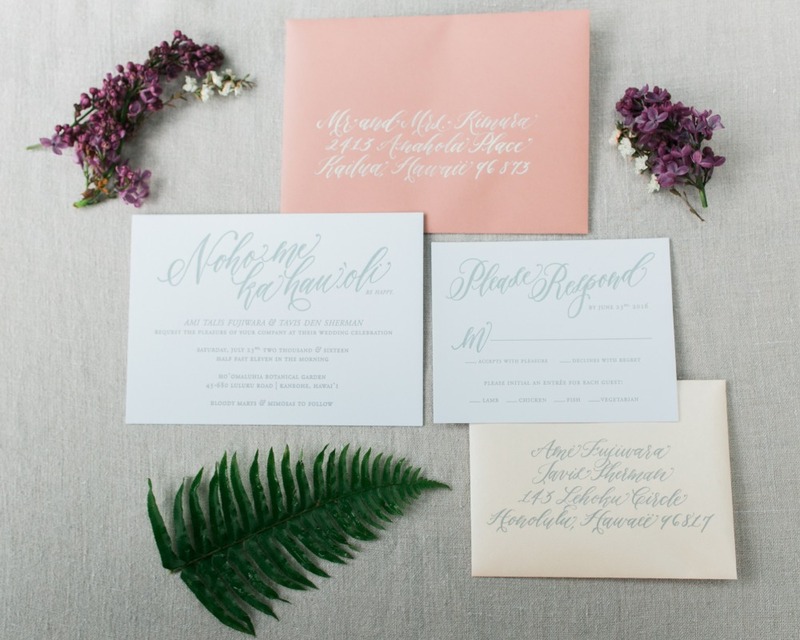 Makane of Ocean Dreamer Florals truly worked her magic and captured the dreamy bohemian feel we wanted. 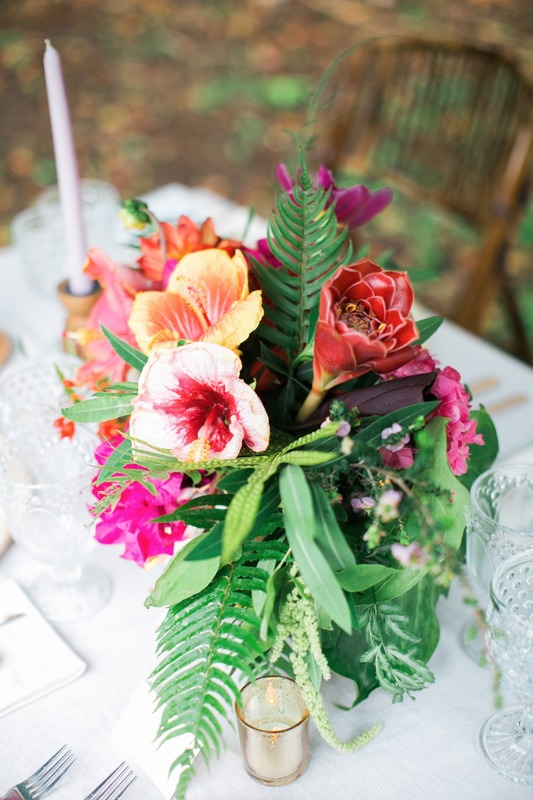 Hibiscus are just stunning in both size and color and were must haves for this design. 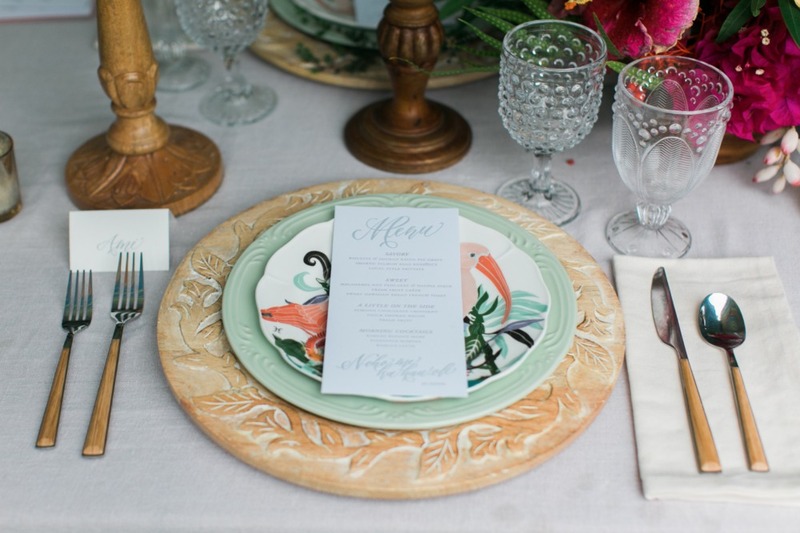 We chose carved wooden chargers, mint green dinner plates, and bird salad plates in combination with teak flatware and vintage glassware to provide a variety of textures and colors. 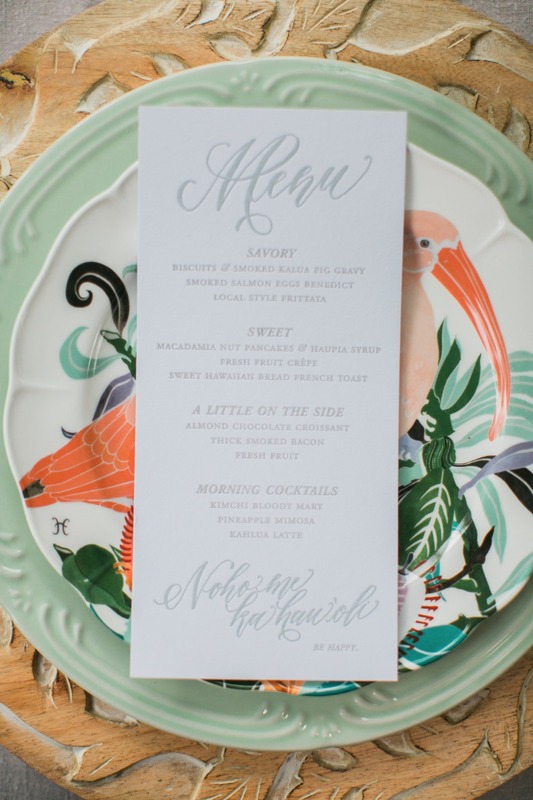 The design on the bird plates from Anthropologie really helped pull in that island feel and added an extra interest to each setting. 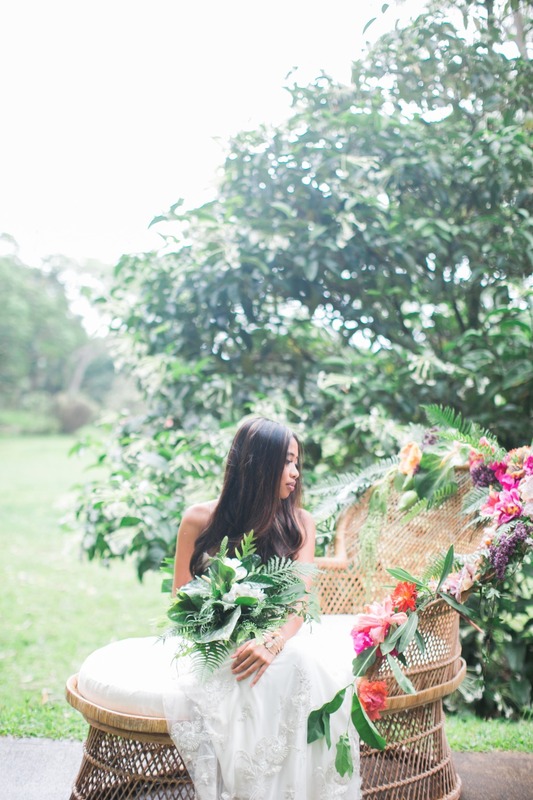 You simply cannot ignore the natural beauty of Hawaii. 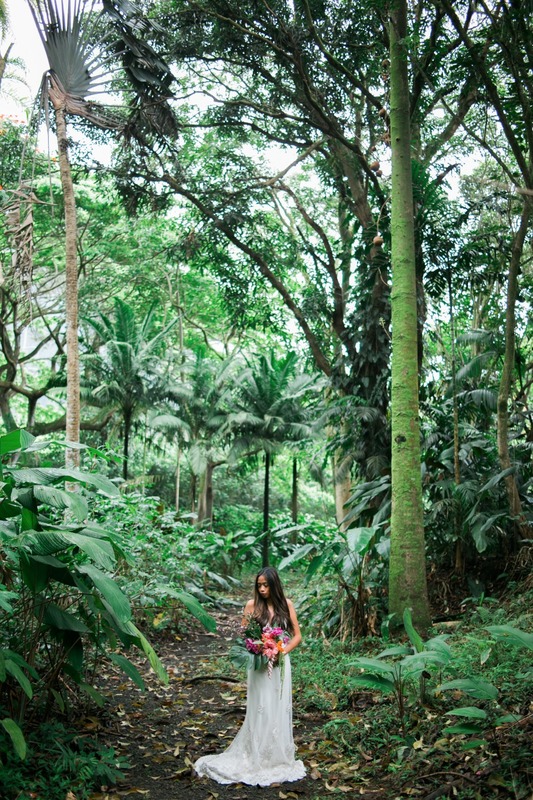 It's all-surrounding and constantly inspiring. 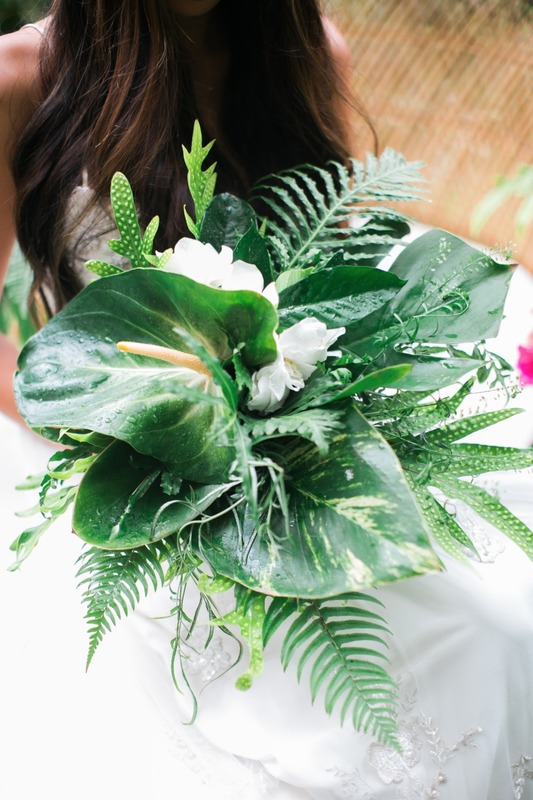 We fully embraced the lush jungle feel and ran with it. 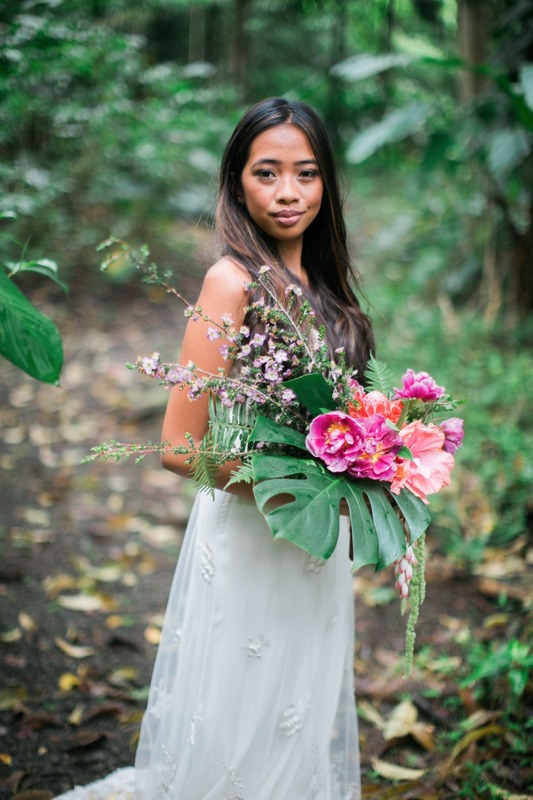 The shoot was tucked inside the forest at Ho'omaluhia Botanical Gardens on Oahu, a perfect backdrop and so many pinch me settings. 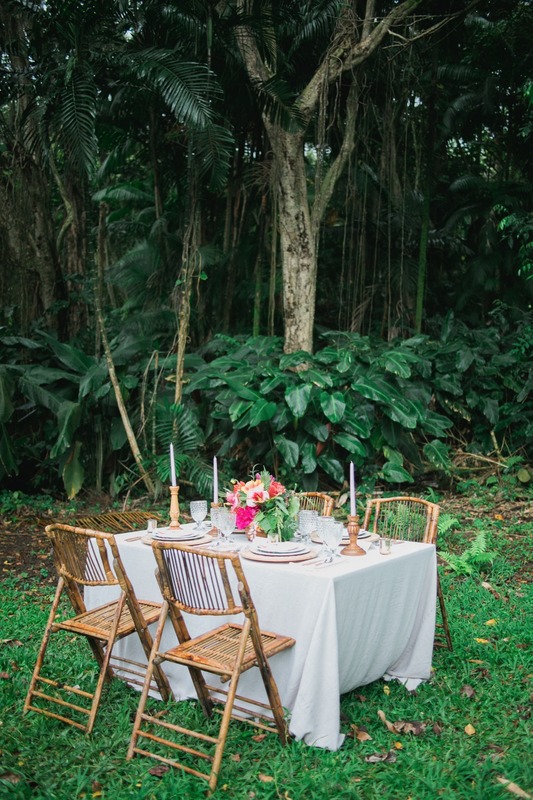 Roam Rentals is a new event rental company on Oahu and they have a great selection of rattan peacock chairs. 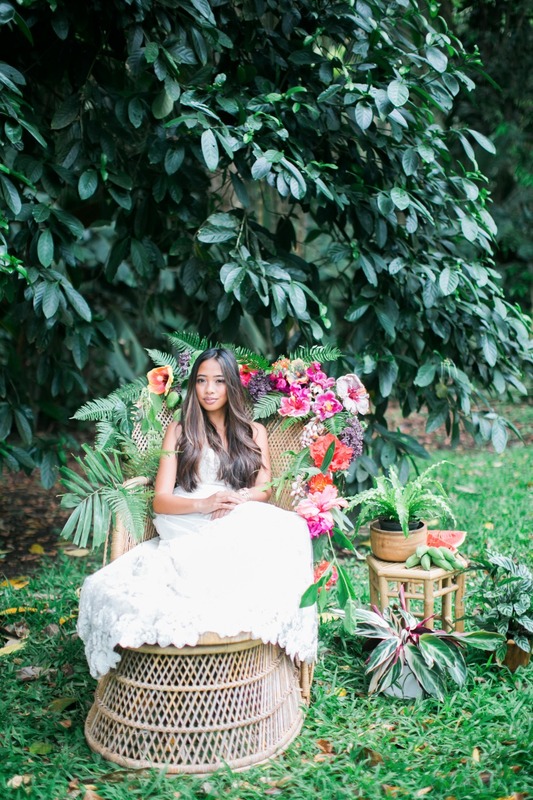 Their peacock chaise lounge was beyond perfection when dressed up with a floral garland. 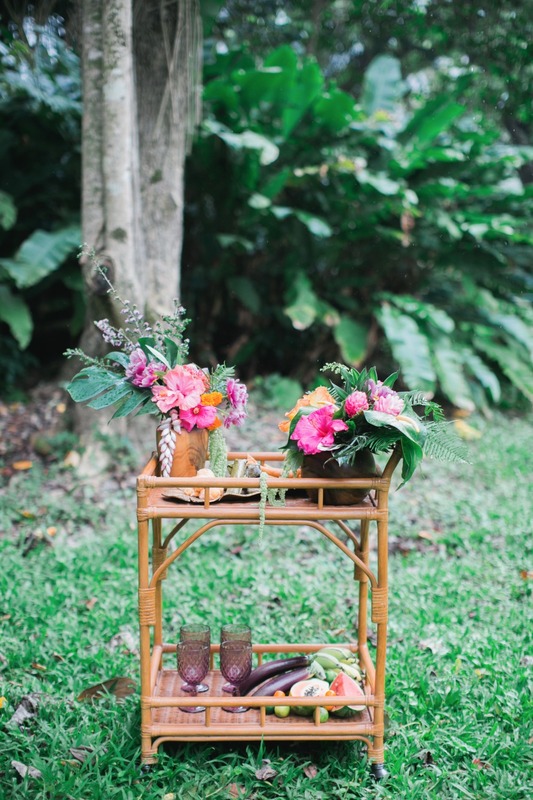 The use of local fruit and blooms just took it to another level of tropical goodness! 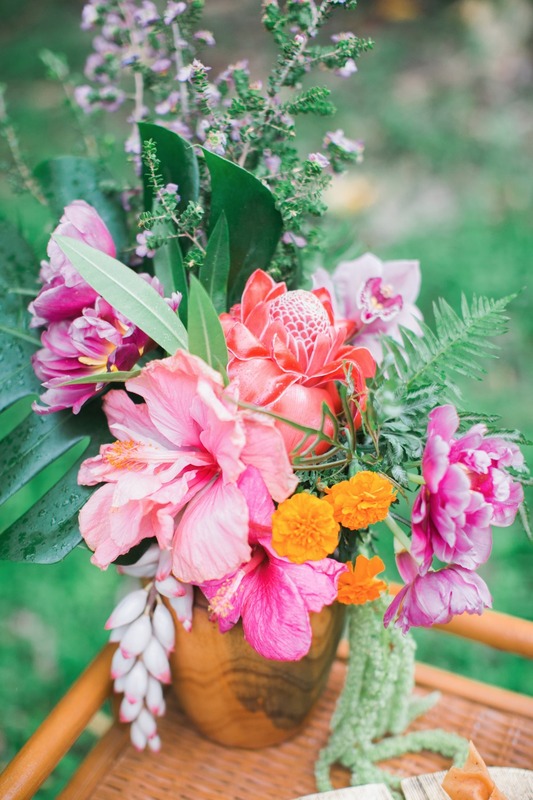 iFloyd Photography captured the day beautifully, despite the frequent rainfall we endured. 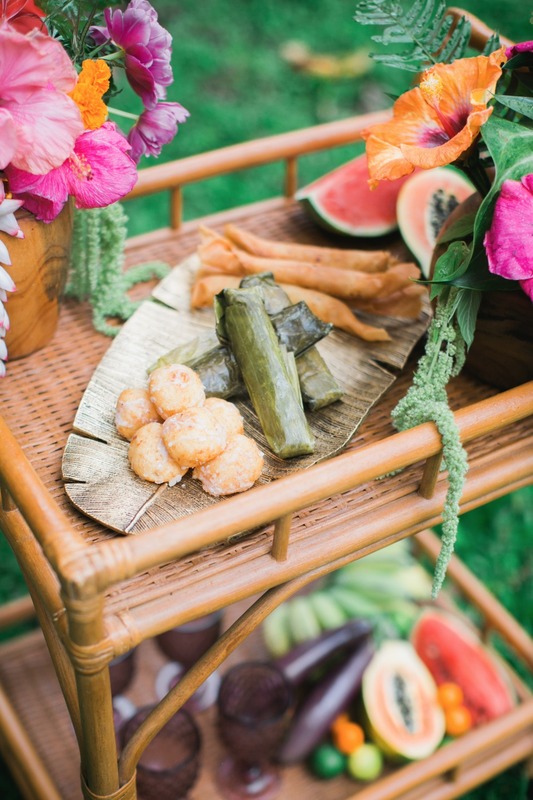 One of the things you quickly learn to embrace in the tropics. 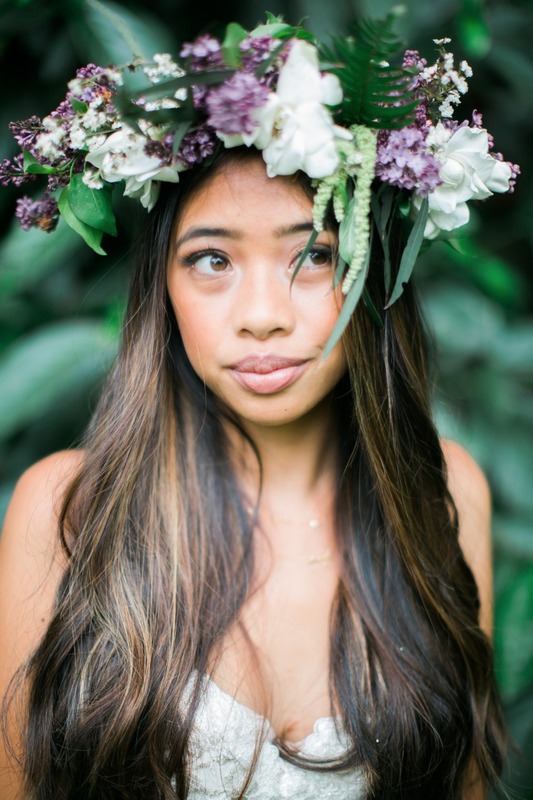 The Hawaiian Islands have so much to offer... there's a reason it's called paradise after all! 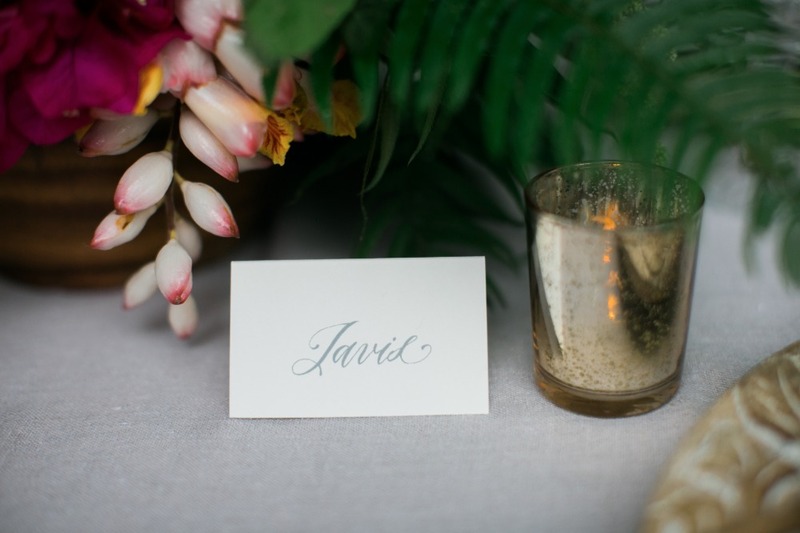 Bustle Events is over the moon to begin planning weddings in the Pacific and can't wait to start creating some magical events.